Soak the chopped dates in boiling water for at least 1 hour. Stir in the black treacle. To make the sauce, melt the butter in a saucepan, then stir in the cream and sugar. Keep stirring until it comes to a gentle simmer. Let it bubble gently for five minutes. Tip over your cake, et voila! I fancied baking again this morning, but had no idea what to make. I put it out to Facebook. Someone mentioned Malteasers, and it was a done deal. It's been on my mind ever since I saw the Malteaser spread in Tesco. Had to be done. In a separate bowl, measure out the flour, cocoa, Malteaser powder, bicarbonate of soda and salt. Stir in the crushed Maltesers. 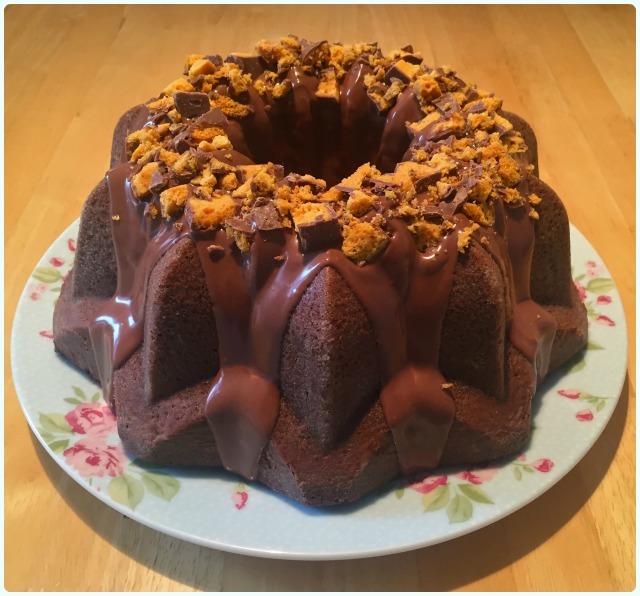 When the cake is fully cool, pop the Malteaser spread into a jug and heat in the microwave for around 20 seconds to loosen it. 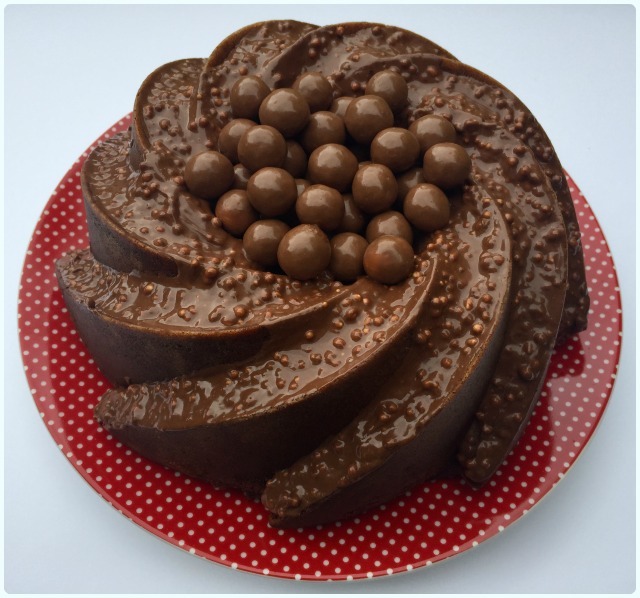 Tip over your cake and decorate with yet more Maltesers! So this week I learned that honeycomb is called seafoam toffee in America. That's your fact of the day folks. This cake had healing properties. I'd had a bit of a week with one thing and another, so decided that the best medicine was not to sulk, but to get out the bundt tin and get to work. What's the point in dwelling on negativity when there is cake to be made, and more importantly, shared with your nearest and dearest? Instant chakra realignment right there. This was a bit of an experiment, again. 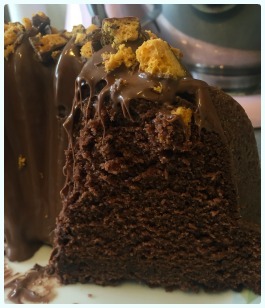 I knew mixing honeycomb into a cake would mean something magical would happen. It's basically sugar in another form, but did wonder what it would do. The trick is to chop it into quite big chunks. It'll never retain its shape, but it does do this weird thing where you end up with these nice sticky pockets within the cake. Give it a go. 100g chocolate honeycomb (or 2 Crunchies) - chopped up. Stir in the chopped up chocolate covered honeycomb. 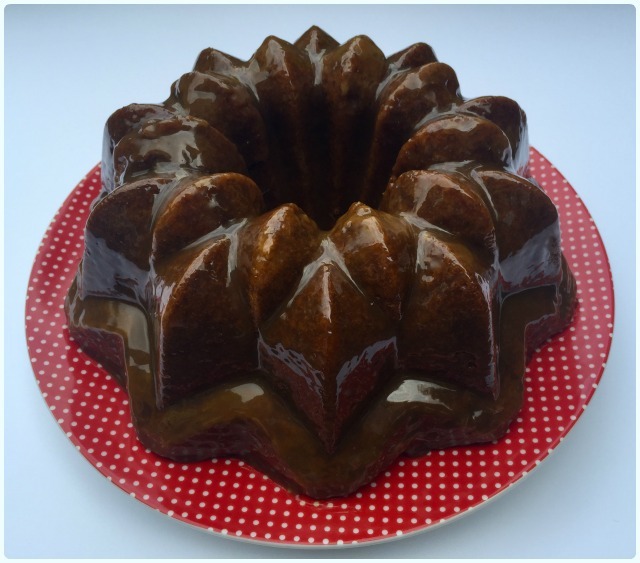 When the cake is fully cool, pop the chocolate spread into a jug and heat in the microwave for around 20 seconds to loosen it. Tip over your cake and decorate with more chopped up honeycomb. I love a recommendation. I have a list on my phone of places where friends and colleagues have insisted I must go, and I have to say that it's very rare that this system lets me down. A couple of weekends ago it was the turn of The Boathouse in Appley Bridge. Another Sunday, another roast. 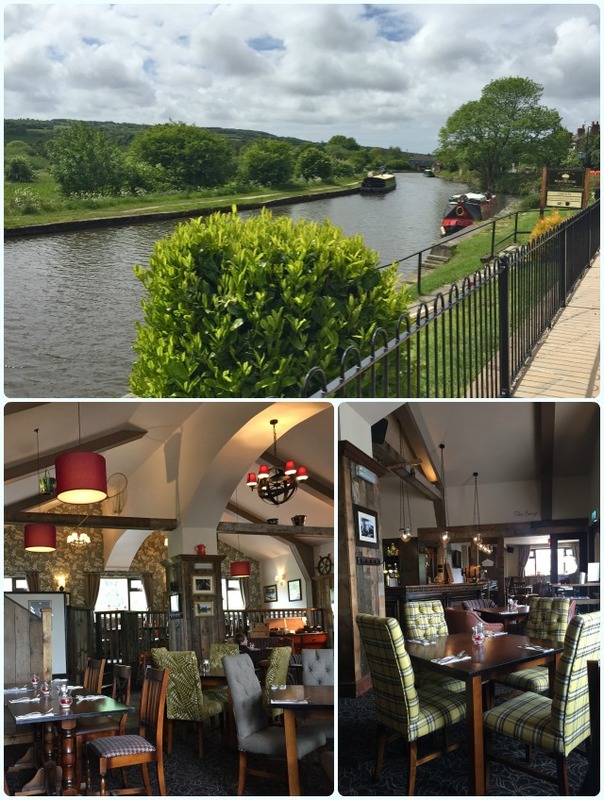 The Boathouse is set in a lovely little village in Wigan, and is positioned next to a beautiful canal with barges, cute places to sit and even a few friendly ducks. It's ideal for these upcoming sunny days we've been promised. 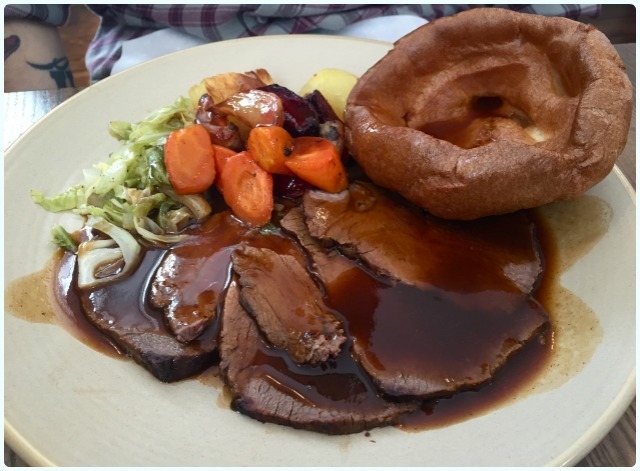 We picked from the Sunday lunch menu, which is £13.95 for two courses, or £16.95 for three. Normally we pick different things and try a bit of each other's, but sorry folks, we both wanted the same thing this time. 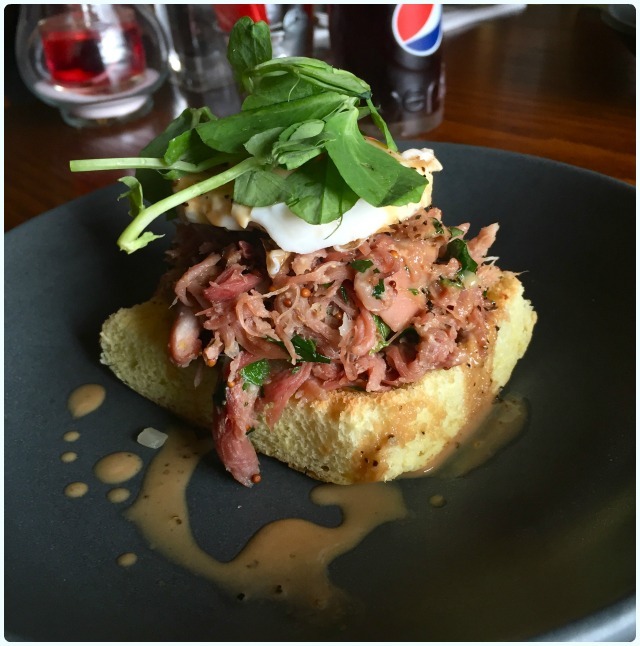 Ham hock - fried egg, toasted brioche and peppercorn sauce: A thick piece of brioche topped with a big old pile of shredded ham hock. Really very tasty indeed. 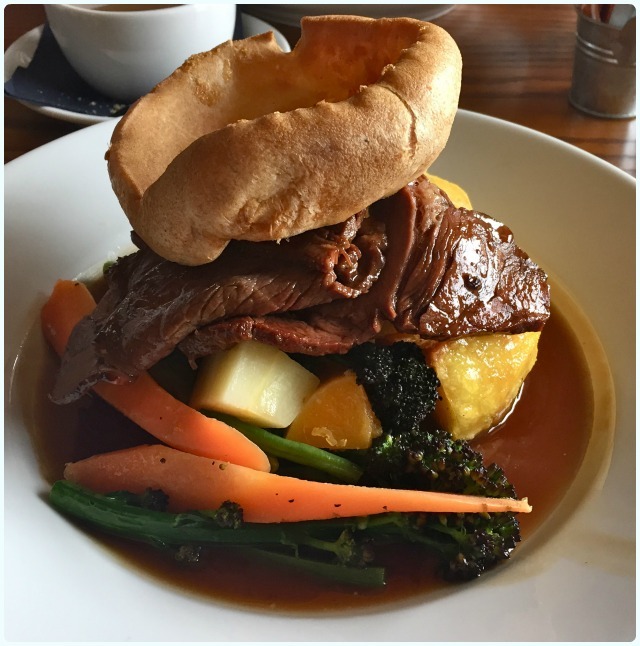 Boathouse traditional Sunday lunch - beef, seasonal vegetables, roasted potatoes, Yorkshire pudding and gravy: Very simple and not over-thought. The vegetables were perfectly cooked and retained a little bite, and the beef was tender and bathed in gravy. The only thing that could have been improved for us was the Yorkshire, which should have been a little crisper. Nevertheless, very enjoyable. 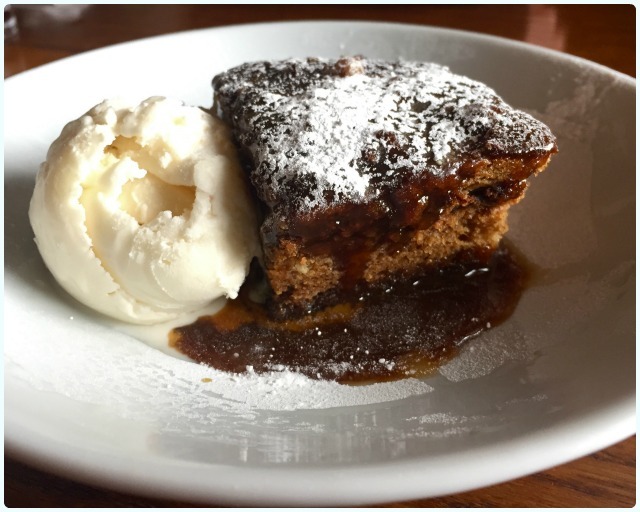 Sticky toffee pudding - toffee sauce and vanilla ice cream: We were both huge fans of this pudding. It was the kind of sticky toffee pud that has chunks of sweet date hiding in a very light sponge. Beautiful. 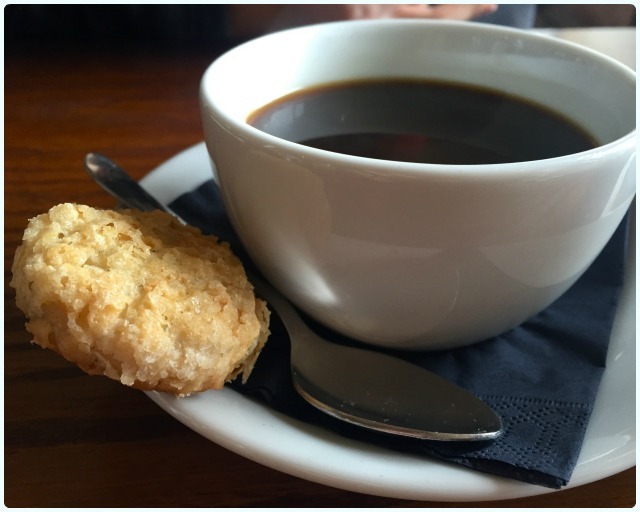 Coffee and Eccles cake: This is worth a mention because it came with a very special little Eccles cake. Sugar coated pieces of happiness. The Boathouse is a lovely ride out into the countryside without having to go too far. The scenery is just idyllic too. It's the kind of place where couples feel just as comfortable as families, and there is plenty of room to sit outdoors if the weather is nice. They even have a little ice cream hut next to the canal. Go here on a lazy, warm afternoon. Stumbling across Provenance was a total accident. It opened on Thursday last week, and a friend 'liked' it on Facebook on Friday. Curiosity engaged, I went for a nosy at their website. 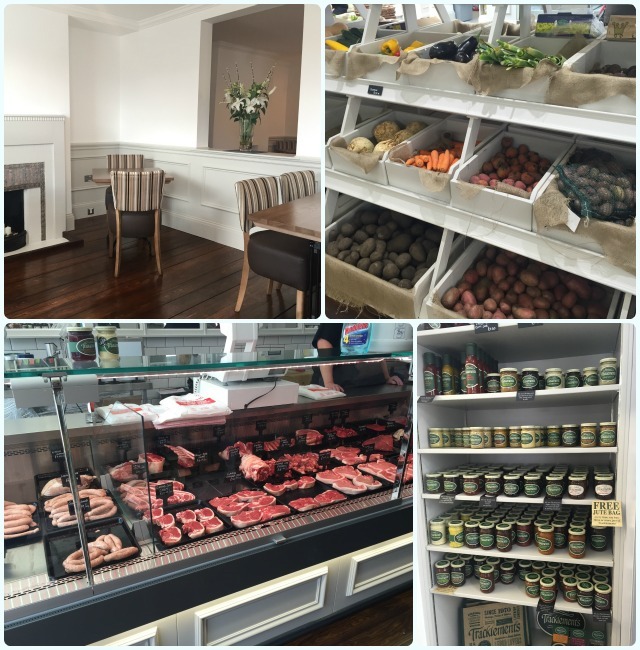 Not only is it a restaurant, but they also have a butcher's, deli, cheese shop, hot food take away, a cake counter, ice cream counter and a cafe. I almost moved in. 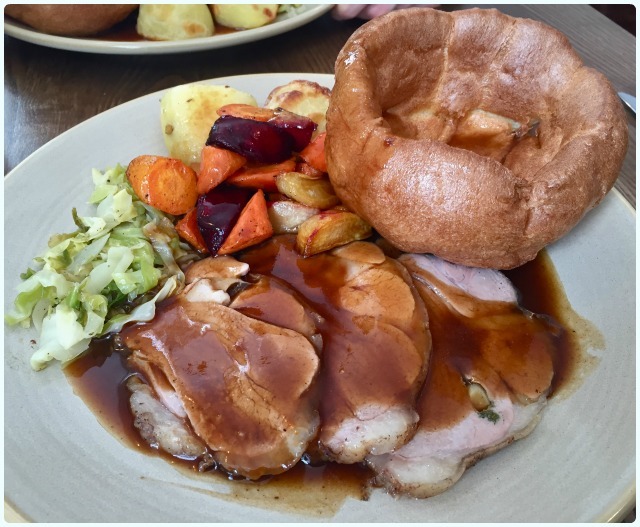 We went on Sunday to sample their roast. A lovely lady (who I am assuming is one of the owners) came for a chat about the whirlwind that was the opening weekend, and how they have limited covers to get it as right as they can first time. I like this attitude. It's clear that a lot of money has been put into this venture, as the whole building is utterly stunning. Everything is finished to a high standard, down to even having Sonos speakers in each room. Nice touch. 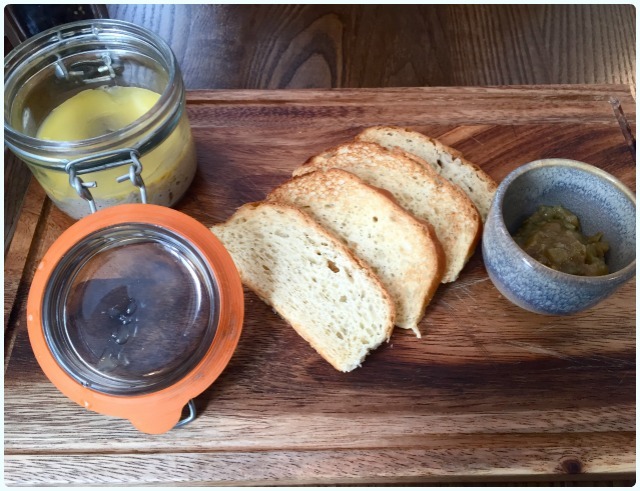 Goosnargh chicken liver parfait - gooseberry and ginger chutney, toasted brioche: You can't really get the perspective here, but this was a huge portion of parfait. 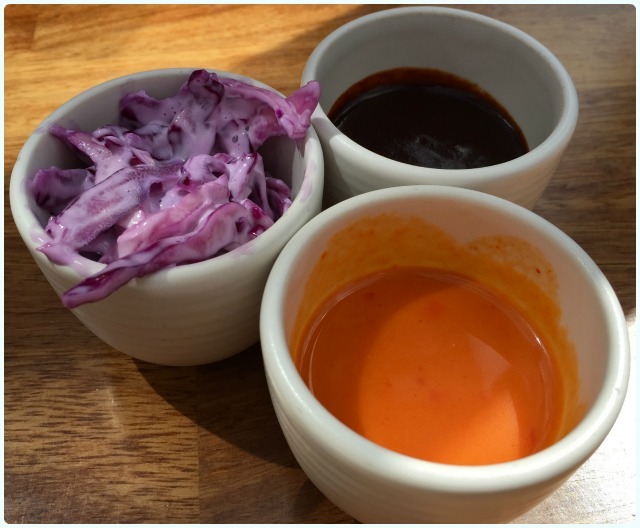 The tangy chutney was the perfect partner. I adore Provenance already. I love their eagerness to get it right, what they have done with the building, the friendly staff and the homely food. I can't wait to go back for breakfast! 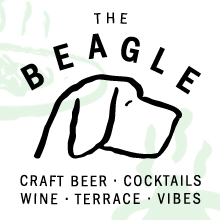 We first visited The Beagle when it had just opened, and felt it didn't really have it's own identity. The food wasn't brilliant and the atmosphere was a bit non-existent. Russ Abbot would have hated it. That's a while ago now, so it was probably about time we gave it a second chance. The minute I walked through the door on Saturday, I knew things were different. It's a bit like the owners of the new house have lived there for a bit now, and stamped their personality on it. They've collected stuff, and it feels a little more lived in. It was really hot, so we decided to sit in the pleasant glass orangery at the front of the building, which was also an excellent people watching spot! Menus were brought swiftly, closely followed by the lovely Anneka with drinks. 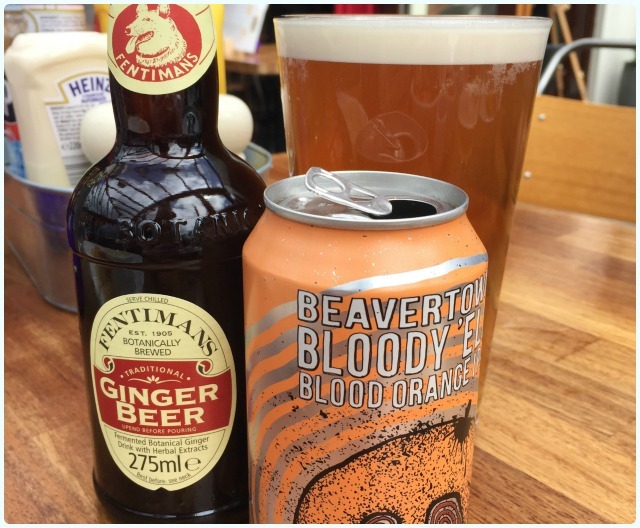 I had a good old Fentiman's ginger beer, whilst my husband opted for two of his faves; a Beavertown Bloody 'El and a Squawk IPA. 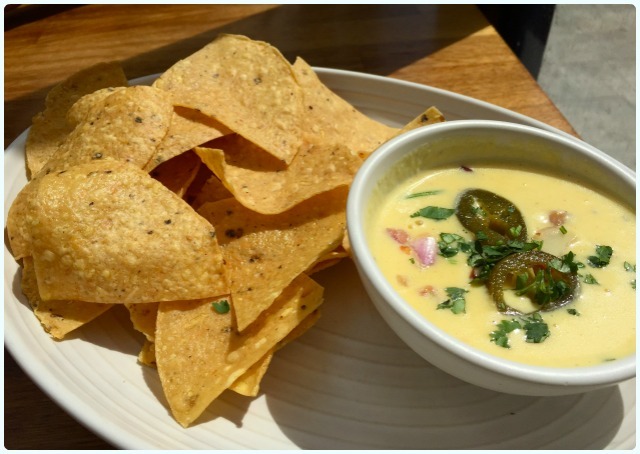 Nachos with nacho cheese: I'd battled the seventh circle of hell which was Manchester packed with drunk pre-Parklifers, so decided to treat myself to some liquid cheese. Don't judge me, you didn't get accosted by a boy in a straw hat wanting to know the quickest route to Wetherspoon's. 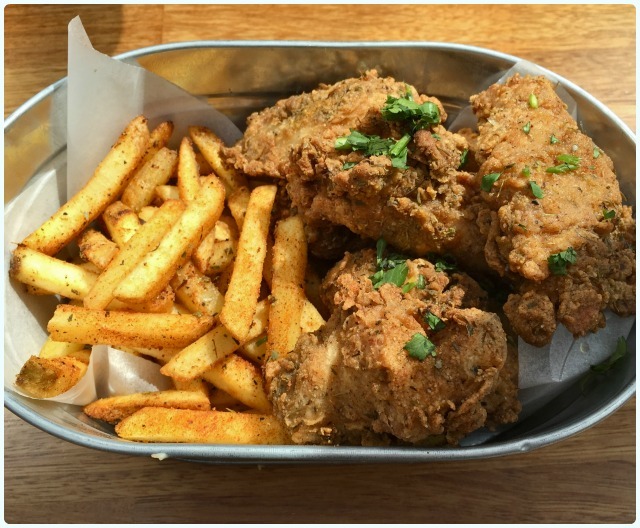 Homeslice chicken bucket - three pieces of buttermilk fried chicken, four wings, fries, slaw and BBQ and chilli sauces: My husband declared this chicken better than the stuff he had at Pies n Thighs in New York. In fact, he could not recall better fried chicken. This is very high praise indeed from someone who is rarely this impressed by anything! That spicy coating was inducted into my 'what could you just have' bank. 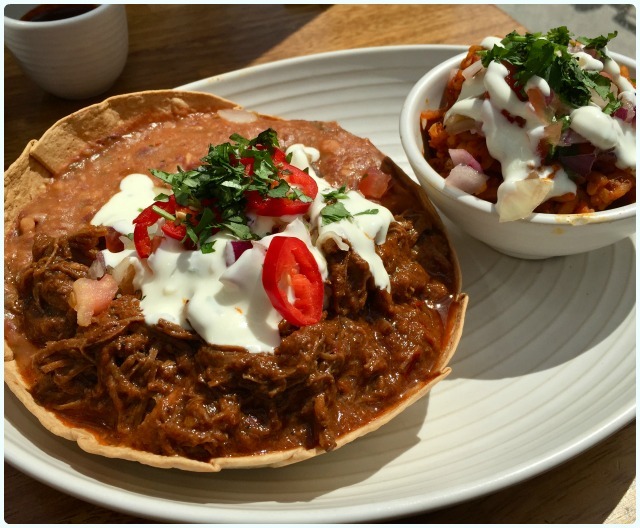 Big beef chilli - beef brisket and black bean chilli, finished with spiced butter and Mexican rice, served in a nacho bowl served with salsa, sour cream, refried beans and cheese: This was so smokey and rich, with big chunks of tender brisket. If you like a flavoursome chilli, I urge you to try this. I'm cursing myself now for being such an incredible lightweight and only eating about half. Look at it... it's shiny and bright and delectable. It made me very happy. 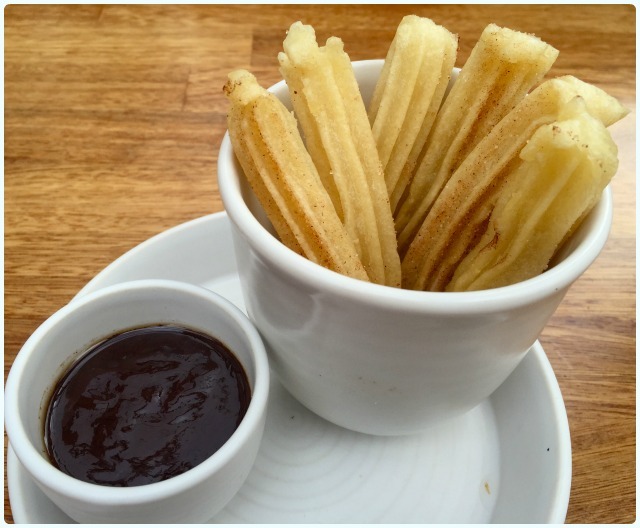 Churros with chocolate sauce: If I see them, I have to have them. Churros are one of my favourite desserts ever. Who doesn't love a doughnut stick covered in cinnamon? Perhaps someone who is dead inside. The only thing that could have improved these would have been a shedload of golden caster sugar when they're fresh from the fryer... That's a true pig talking right there. 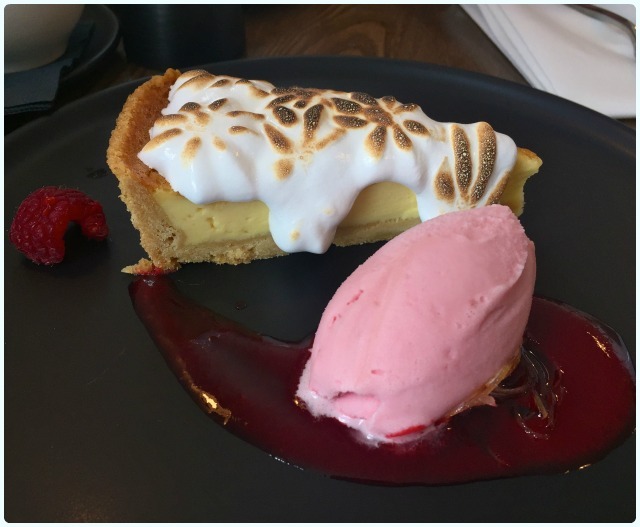 I was ridiculously impressed with The Beagle; the food was way better than I ever imagined it would be, but almost more importantly, the service was brilliant. Anneka's boss - I urge you to give the girl a pay rise. We're already plotting a return trip to sample their brunch menu. My first encounter with Revolution was when I was 16. It was our Sixth Form Christmas Do in Bolton, and it was picked because of its flavoured vodkas (obviously, I didn't drink any being underaged...) and proximity to Bar Peru (read 'Hell'). I had red streaks in my hair, a foil mock-crock skirt on and a Budweiser halo by the end of the evening. Let me tell you now, the Revolution brand has had one hell of a makeover since 1998. 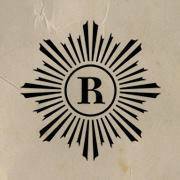 We're already fans of their sister chain, Revolucion de Cuba, so were naturally curious when an invite to Revolution came our way. 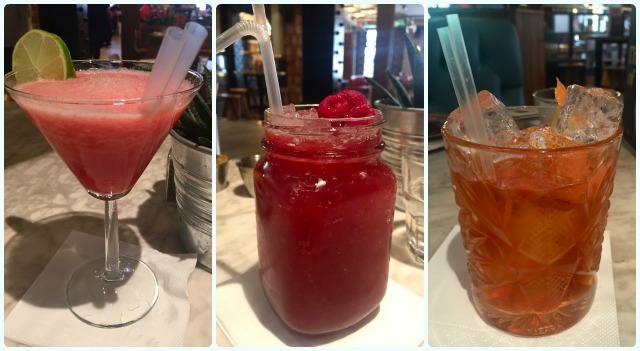 My tame cocktail drinker and I went on a sunny Wednesday afternoon to try some of their alcoholic concoctions and new menu. 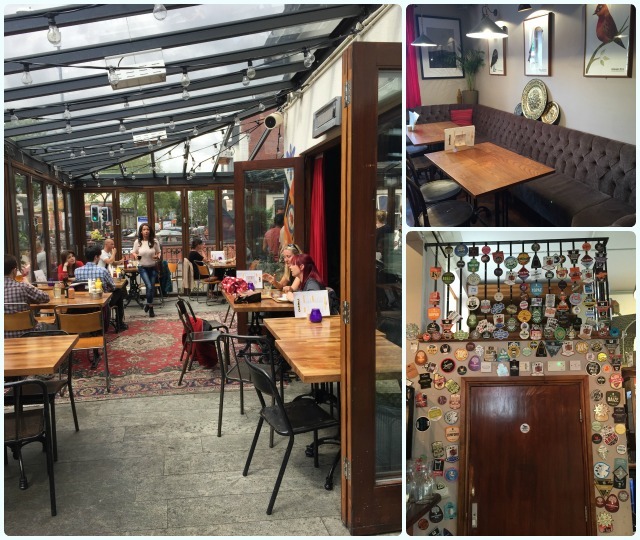 We visited the swanky Parsonage Gardens location, which has a rather grande entrance and beautiful teal leather booths. 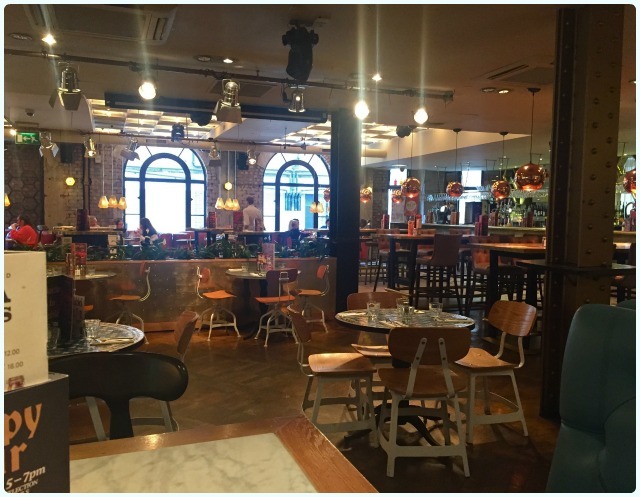 It has a very similar vibe to Revolucion de Cuba, but is much quieter during the day owing to its location. We loved this because it felt like our own personal hideaway, aside from the hustle and bustle of the city. First up came cocktails. Our waitress Collette explained that Parsonage Gardens are trialling some new cocktails which will hopefully be rolled out throughout all the other locations too. The first one to catch our eyes was the Candy Apple Cosmo, which was deliciously sweet and a bit of fun too. I'm a sucker for a frozen cocktail, so went for one of my all time faves, a Strawberry Daiquiri. Candy Apple Cosmo: Ketel One mixed with Cointreau, lime juice, apple juice and candy floss. Strawberry Daiquiri (left): Bacardi Carta Blanca rum with strawberry, cranberry, lime and sugar. Negroni (right): Tanqueray gin, Aperol, Rosso and bitters, garnished with perfumed orange. Middle one - who knows!? Something wonderful made with raspberries. 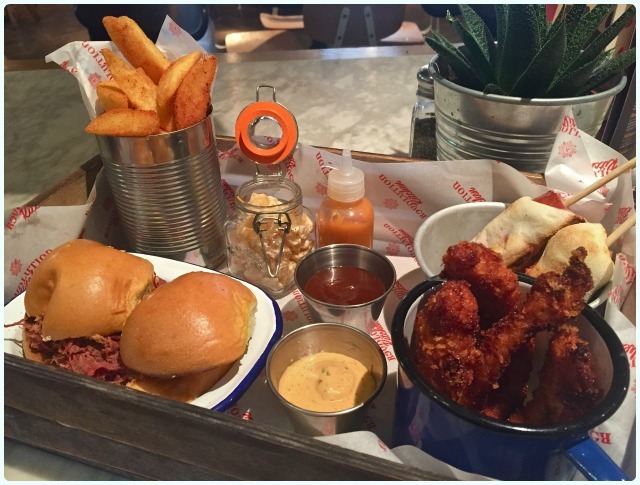 Street Food Crate - two pulled beef sliders, viper dusted fat chips, buttermilk fried chicken, dough dogs, BBQ crackling puffs, hot buffalo sauce, big easy mayo, chipotle sauce: We were starved when this appeared, and made utter pigs of ourselves with it before the mains were even on our radar. 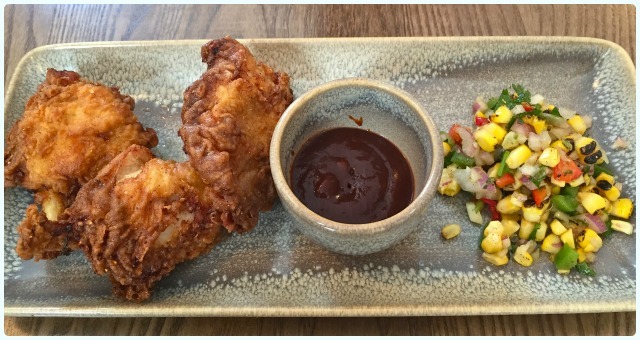 It's the perfect sharing dish, and would be ideal if you just felt 'peckish' whilst enjoying a drink. I think we'll be back for this. 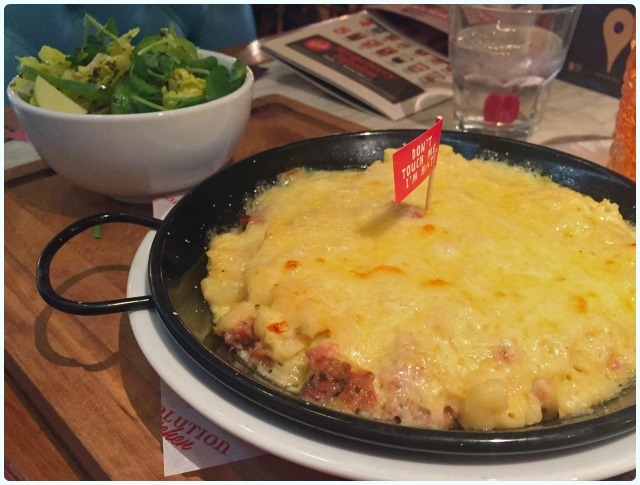 Fennel sausage mac n cheese with green salad: Mere mortals may not be able to devour such a wonderfully cheesy item. My partner in crime Lee did sterling work with this cheese dream. 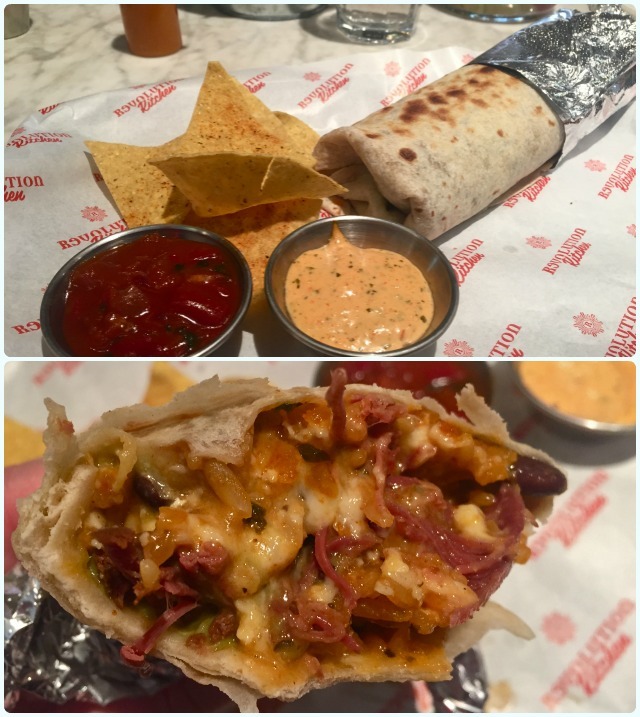 Pulled salt beef burrito - guacamole, black beans, smokinnaise, spicy red rice, cheese, tortilla chips, dips: This is my favourite kind of food; a load of cheese, meat and carbs with a bit of a fiery kick. I particularly liked the foil handle with non-drip bottom! First time I've ever eaten a burrito without wearing it. 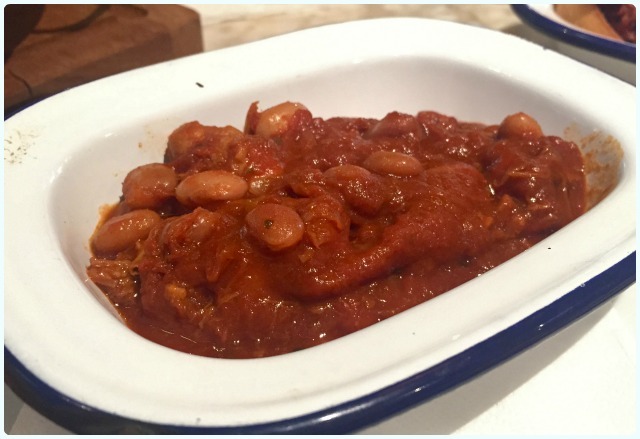 Fire pit beans - smoky BBQ pinto beans, pork burnt ends: We ate very little of this, mainly owing to the fact that we had eaten enough carbs to ban us from Marbs for life. What we did eat was absolutely delicious! 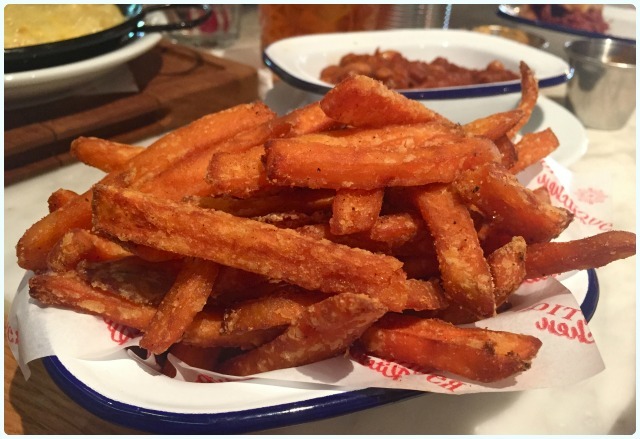 Sweet potato fries with BBQ dust: Just as they should be; crisp on the outside, fluffy on the inside, with a nice bit of smokiness from the BBQ flavouring. 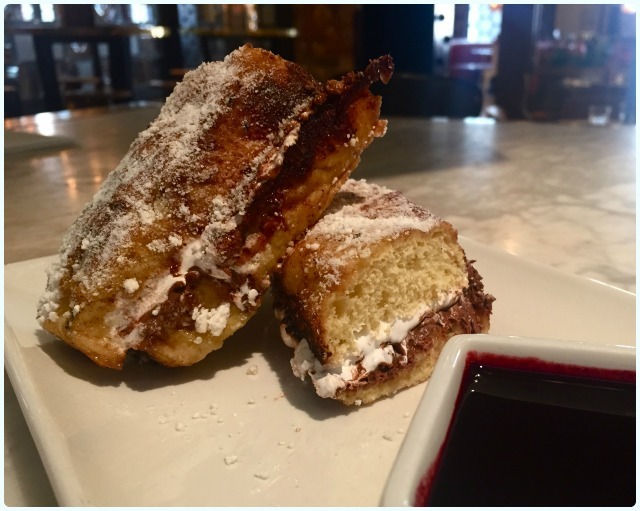 Chocolate fluffwich - soft dough, Nutella chocolate, marshmallow fluff, sweet batter, blueberry dip: We insisted we couldn't eat any more, yet here we were. I'm not even that into chocolate... This was the perfect antidote to all the savoury stuff. Balance restored. I would never have thought of going to Revolution for anything other than a shedload of flavoured vodka. How wrong can you be hey? The dining room is beautiful, the staff were attentive, the food was quite something and the cocktails were delicious. We left very happy indeed, already plotting our return. 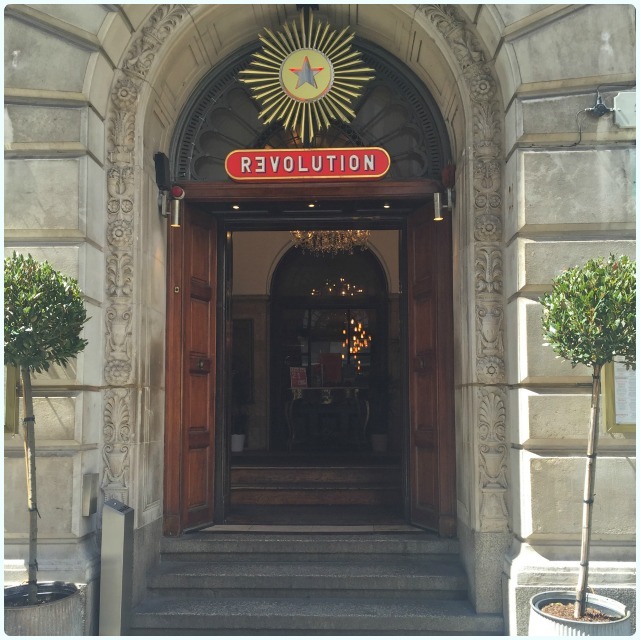 Disclaimer: We were invited to Revolution to sample the new menu. Once again we befriended our lovely waitress, who was very sweet indeed. They did not bribe me with candy-floss to say nice things.